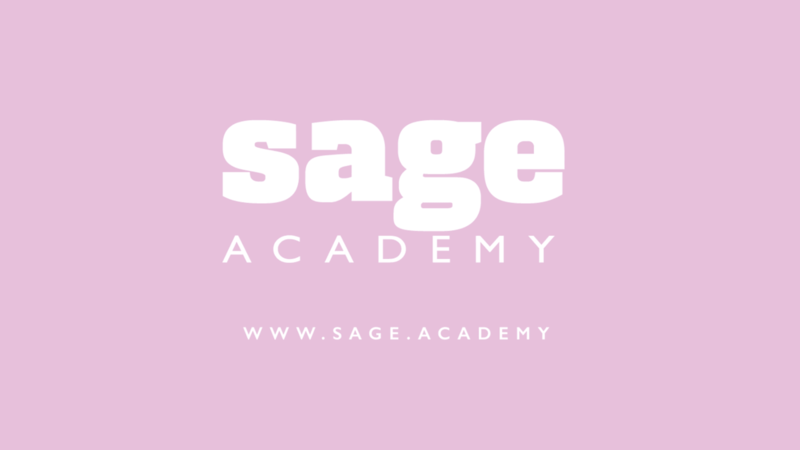 Sage Academy – Learn. Work. Grow. A revolutionary, soft-skills e-learning solution that actually changes behavior. Time is limited. Learner frustration is real. Why suffer through training that not only makes your team miserable, but ultimately fails to work? Our brains are hardwired for story. We consume and share information in narrative forms, processing complex situations both rationally and emotionally. We also treat media socially; subconsciously, we think videos represent real life. Sage Academy integrates extensive cognitive science research to combine emotional, logical storytelling with a powerful video component. Knowledge checks don't drive behavior change. Well-structure stories, however, provide logical and emotional arguments that do. People communicate complex ideas nonverbally. Our unique visual language conveys important information, authentically – both consciously and subconsciously. By allowing learners to fill in story gaps, they take ownership in the training experience – leading to better engagement, retention, and an actual change in behavior. They also have a lot of fun! 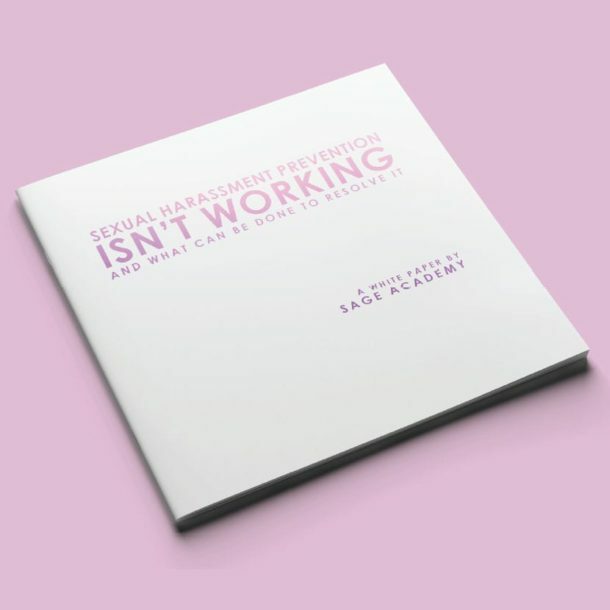 Harassment is a soft-skill problem that has traditionally been met with hard-skill training solutions. The shocking evidence is that what many consider "compliance" training actually increases harassment after the training. Employees need effective tools to address or prevent issues from escalating. Learning should be available at any time, on any device. We author our courses with fully responsive HTML5 to play on any device. You can purchase and deploy training within minutes via our LMS or integrate our SCORM packages directly into your own. Easily roll out training that excites your team and makes them energetic to apply their new skills in the workplace. Our e-Learning courses leverage Hollywood-grade film scenarios with an intuitive interface that keeps your learners leaning forward. Great training doesn't have to be expensive. Experience off-the-shelf training that feels boutique, but at a price that says "scrappy." We are the most affordable training solution on the market. Click on a title to get started. Download our white paper to learn more about how our research in cognitive science, emotional intelligence, and the neuroscience of media has produced an online training solution that actually changes learner behavior. Yes, I consent to get material from this website.